People can't stop talking about this top rated 2016 Toyota Corolla S Plus. Wheels: 17" x 7.0" Alloy, Urethane Gear Shift Knob, Trunk Rear Cargo Access, Trip Computer, Transmission: Continuously Variable (CVTi-S), Transmission w/Driver Selectable Mode and Sequential Shift Control w/Steering Wheel Controls, Torsion Beam Rear Suspension w/Coil Springs, Tires: P215/45R17 All-Season, Strut Front Suspension w/Coil Springs, Steel Spare Wheel. 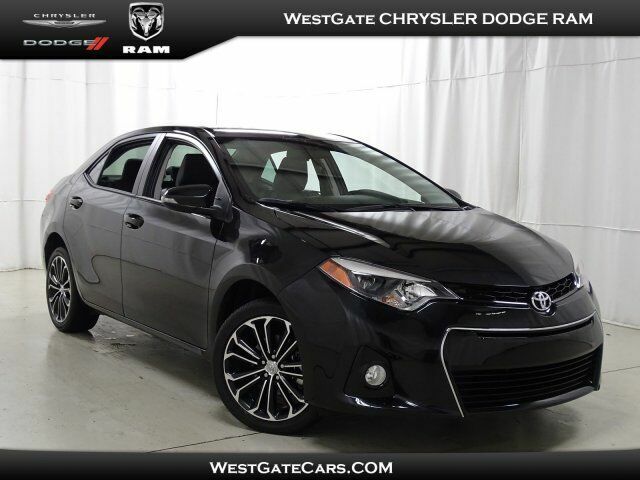 For a must-own Toyota Corolla come see us at Westgate Chrysler Jeep Dodge Ram, 6421 Old Westgate Rd, Raleigh, NC 27617. Just minutes away!